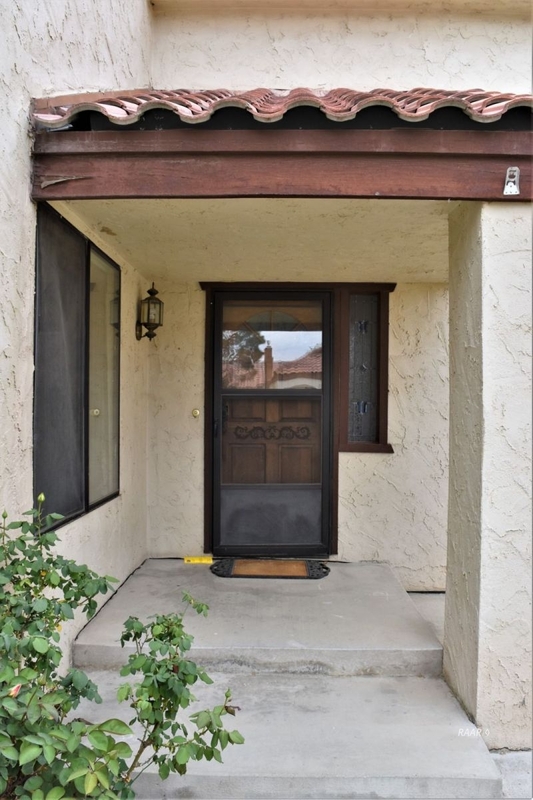 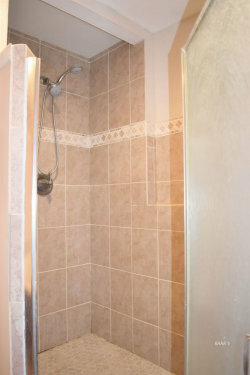 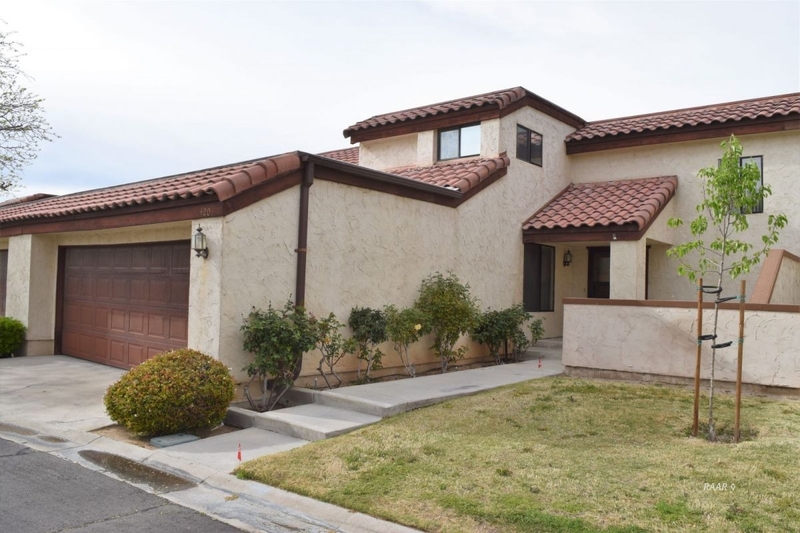 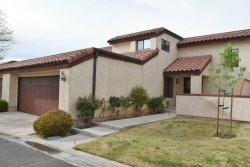 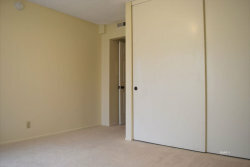 Upon entering this 3 bedroom 3 bath condo there is a cozy courtyard, perfect for sunny afternoons. 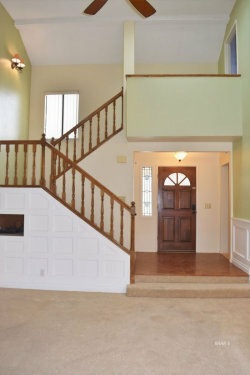 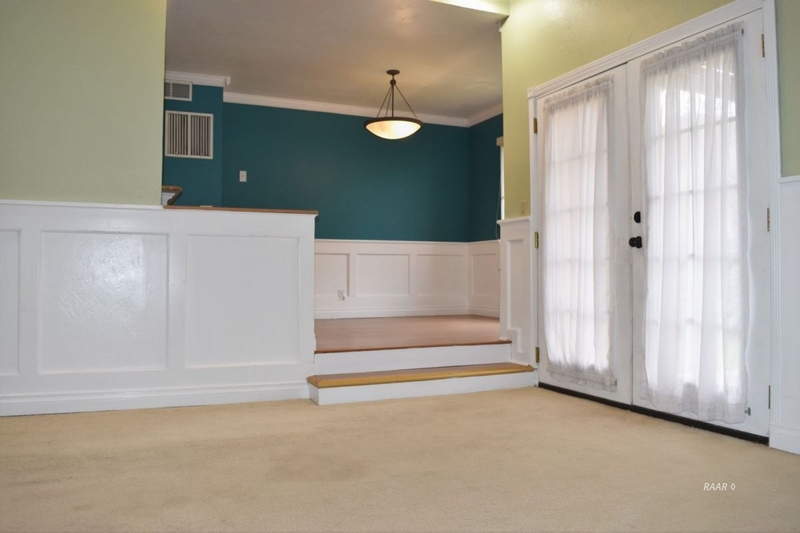 Interior entry way opens up to the sunken living room which has a corner fireplace and french doors leading to the back patio. 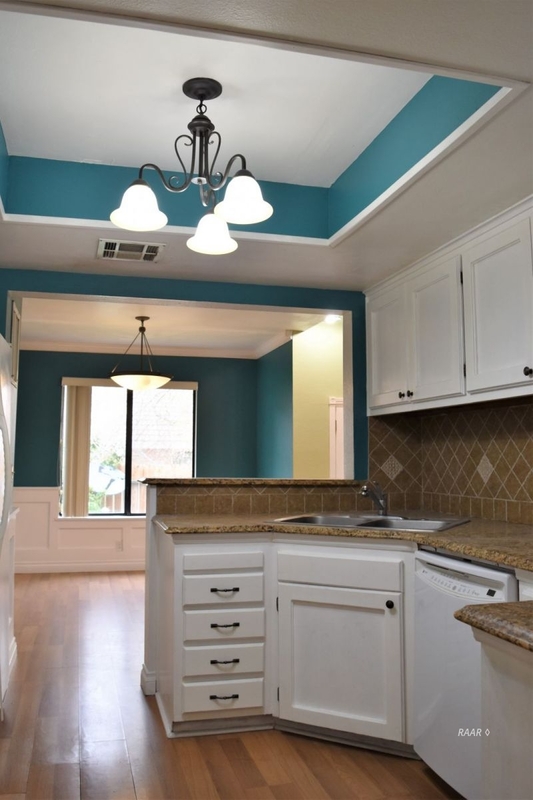 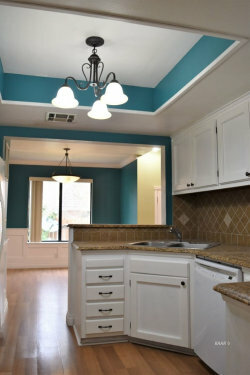 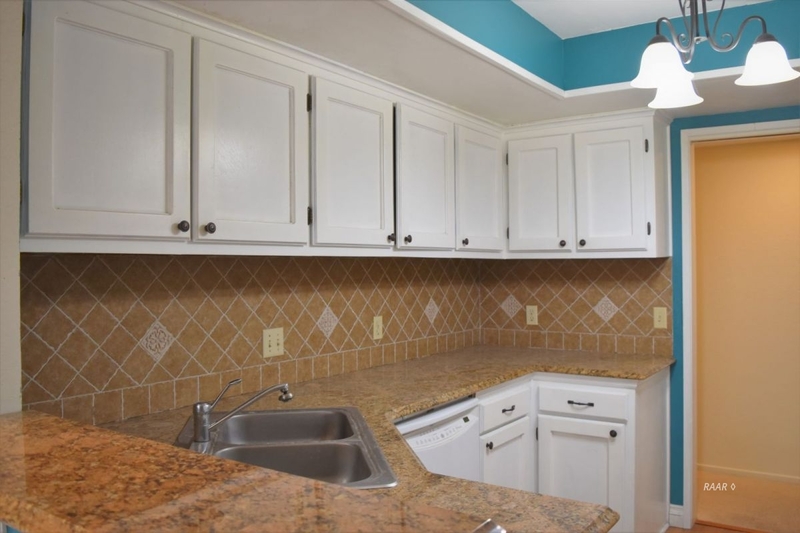 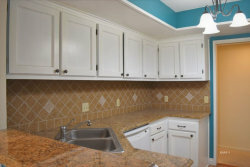 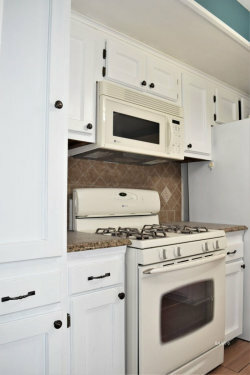 Granite counter tops in the kitchen, white painted cabinetry, wood laminate flooring and updated light fixture. 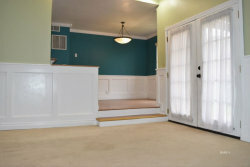 Dining room has lighted chandelier and wood laminate flooring. Two of the bedrooms could be considered master suites, one is located upstairs and the other is located downstairs. 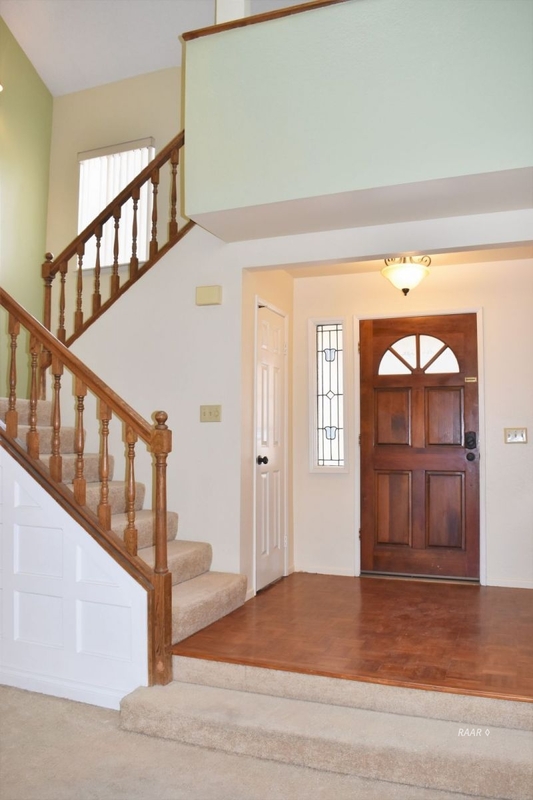 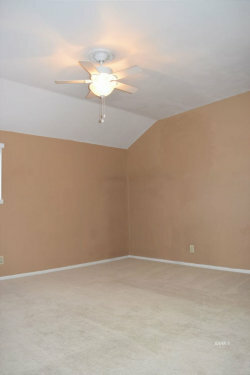 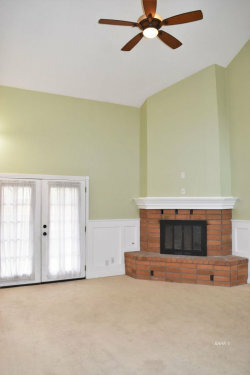 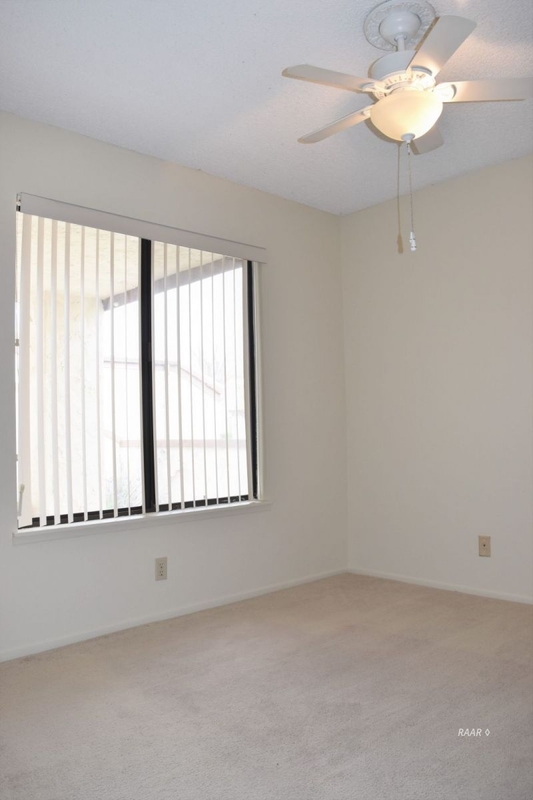 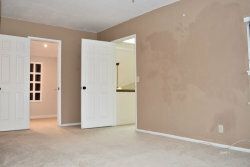 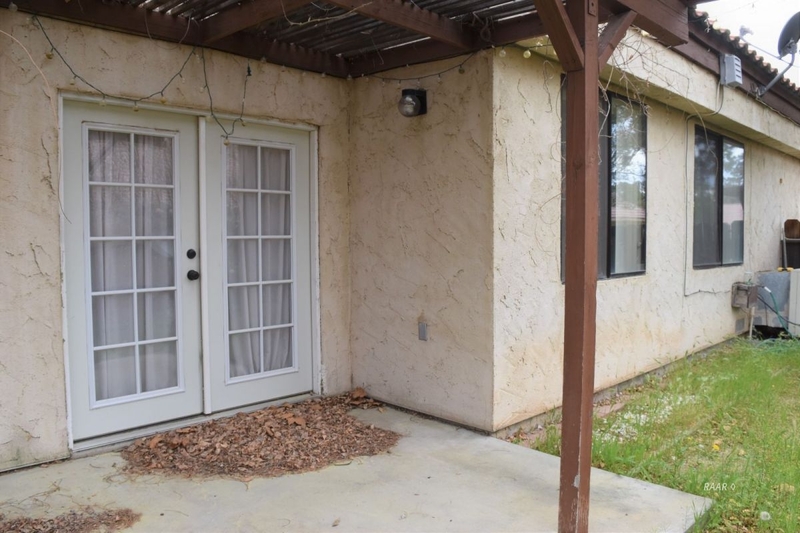 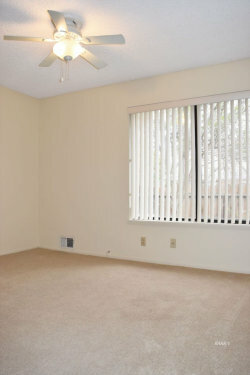 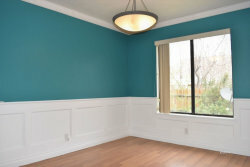 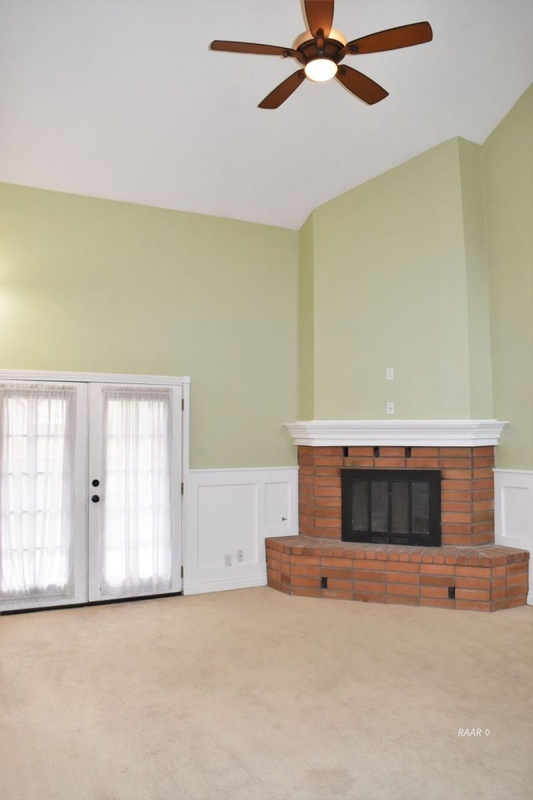 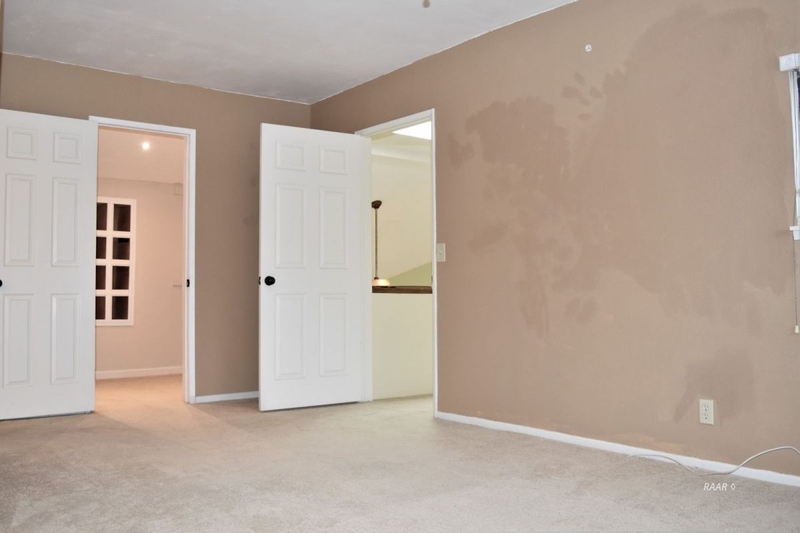 All 3 bedrooms are carpeted with lighted ceiling fans. 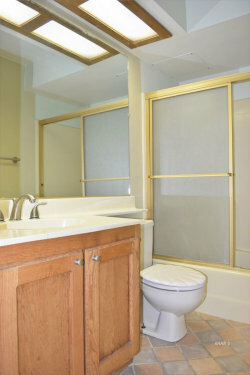 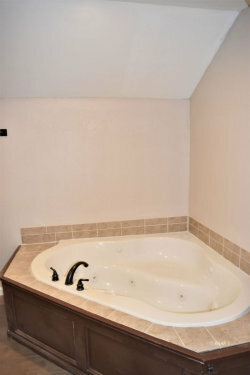 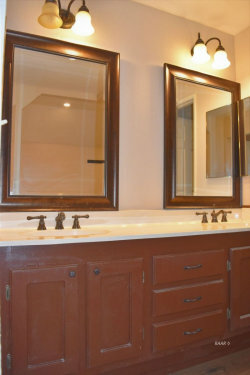 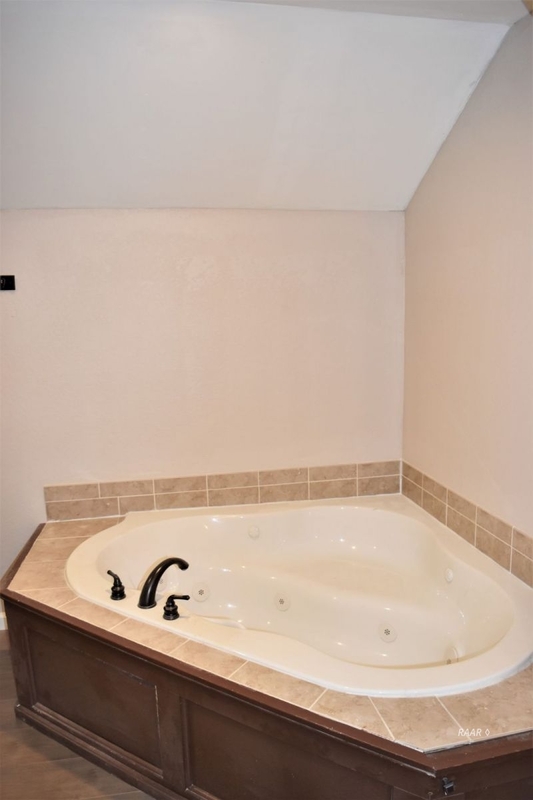 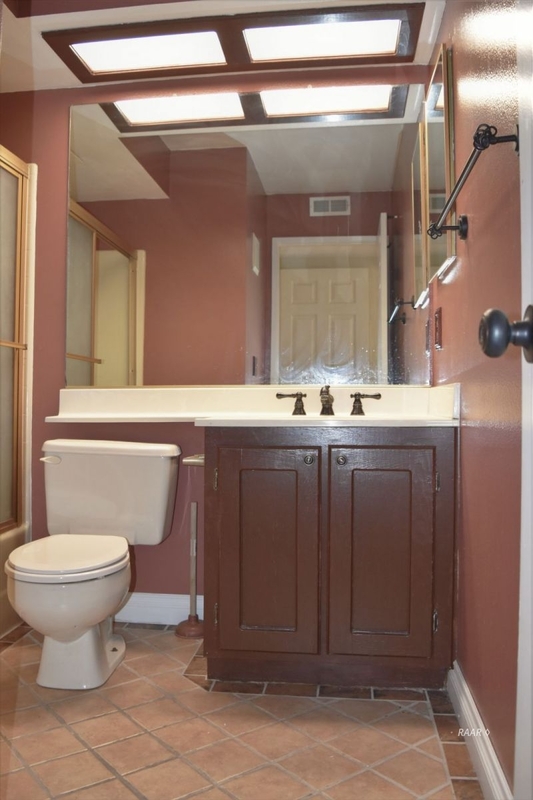 The upstairs master bathroom is a show stopper with spacious privacy closet, wood laminate flooring, large jetted tub, double sink vanity and tiled walk-in shower. 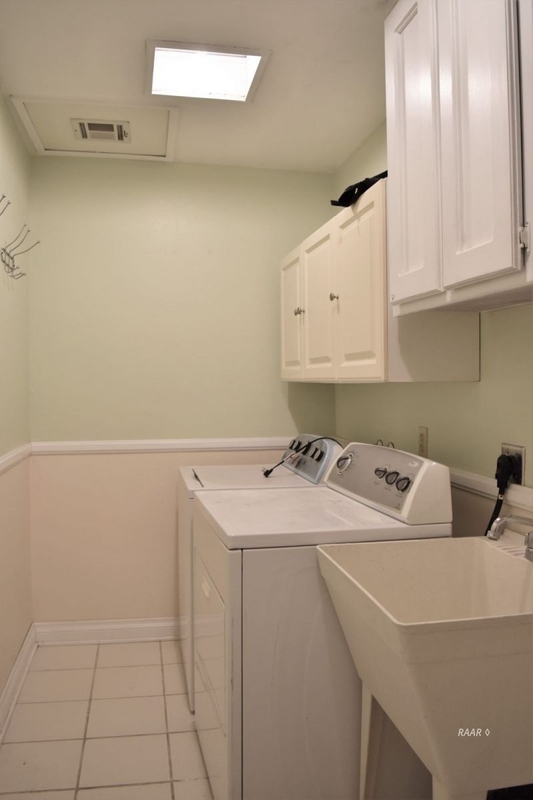 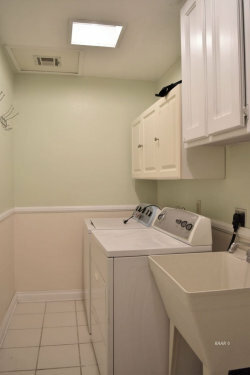 Indoor laundry room with cabinetry and sink. 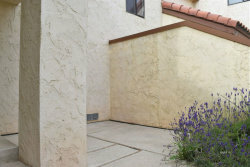 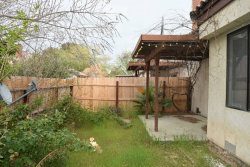 Backyard has partial landscaping and patio.